Sureeporn Thanasilp completed her D.N.S. (Nursing) from Mahidol University, Thailand. Her Ongoing research is death acceptance between Thai and Vietnamese persons with cancer. She has published more than 20 papers. Nursing Education, Critical thinking, Professional self-concept, Simulation-based Teaching, Postoperative care. Melissa Kimble completed her B.S. in Nursing in 1994 at Houston Baptist University in Houston, Texas, USA. She is the Director of Program Development for a large Home Health agency in the United States. She holds several specialty certifications related to community and public health. She has over two decades working with many organizations including Fortune 100 companies. Mrs. Kimble is a member of the Texas Nurse Association, the American Nurse’s Association and Sigma Theta Tau. Hongwei Wan has completed her PhD from ChiangMai University, School of Nursing. She is the director of Department of nursing, shanghai proton and heavy ion center, as well as a professor of Fudan University, China. She has published more than 60 papers in reputed journals. Nezar Ahmed Salim is the In-Service Educator and Nurse Researcher in Dubai Hospital, Dubai United Arab Emirates. He obtained his Bachelor’s Degree in Nursing from Hashemite University in 2012 and proceeded to Master’s Degree, Major in Oncology in 2014 with an exemplary GPA of 3.39 in the same university. He started as a staff nurse in the Medical-Surgical Oncology Unit, King Hussain Cancer Center in Amman, Jordan from 2012-2015. With commitment for excellence and career growth, he established the Journal Club at King Hussein Cancer Center and was awarded as a “Champion Nurse” of Research in the Magnet Program. From 2015-2018, He worked as an Oncology Nurse in Dubai Hospital. Through hard work and tenacity, he was eventually promoted to Nurse Researcher and Educator. Throughout his career, Mr. Salim has published 20 researches and articles in different international nursing journals. The Al-Jalila Foundation approved his study entitled “Knowledge and Attitude of Oncology Nurses’ towards Cancer Pain Management in United Arab Emirates, 2017” a study grant to support the cause of the research. 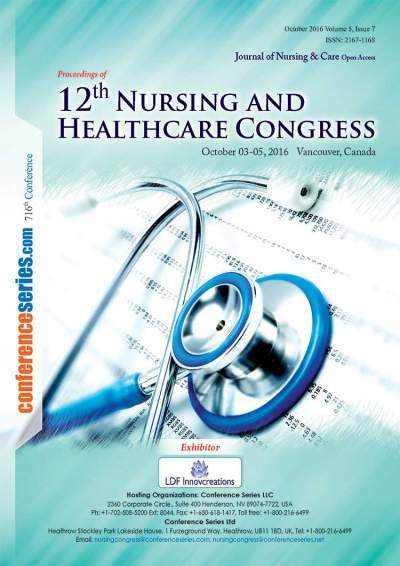 He is also a distinguished speaker and organizer of Nursing Conferences. In 2017, he is awarded by the Government of Dubai for “You’re our Pride”, Research Category. The Dubai Health Authority acknowledge him as a “Recognized Staff” for his dedication and initiative in the practice of Nursing. Currently, he is a Board Editorial member of 2 Medical Journals, The Medical Science Journal and Dubai Medical Journal. As a nurse researcher, he has a Good clinical Practice Certificate (GCP) which upholds the scientific quality standards of clinical trials. Mahesh Borhade MC, CHCQM-PHYADV is an American Board of Internal Medicine certified and certfiied by American Board of Qaulity Assuarance & Utilization Review Physicians in Healthcare Quality & Management. Dr. Borhade serves as a Medical Director at Person Memorial Hospital, Medical Director at Extended Care Unit a Nursing Home and as a Director for Utilization Review for Person Memorial Hospital, Roxboro NC, USA. He has extensive experience in acute inpatient and outpatient medical care for geriatric population with chronic medical comorbidities. He has been actively working in academics and research activities. He serves as a scientific reviewer , editorial member, expert panel for population studies projects. He has worked as an Organizing Committee for international conferences before. Endocrinology, Hypertension, Dibetes, Cardiovascular Disease, Public Health and Healthcare Quality and Management. Paul completed his nurse training at Queens University Belfast (QUB) in 1999. Initially working in Theatres, Recovery and High Dependency he later specialized in Anaesthetic Nursing, completing a Post Reg qualification at Manchester University. On his return to Belfast Paul completed a BSc (Hons) in Health Studies Management at QUB and worked as a Charge Nurse at the Mater Hospital Belfast. Murad has completed his PhD in nursing studies in September 2017 from Hull University. His PhD study employed a qualitative approach to understand the factors that influencing compliance with standard precautions among paediatric nurses. Dr. Sawalha is currently works as assistant professor at Hashemite University in Jordan. Dr. Sawalha is a registered nurse in Jordan since 2002. He holds a Bachelor of nursing science and master of clinical nursing from the University of Jordan. He worked in different clinical and academic settings (Four years in paediatric intensive care unit, one year in clinical research, and five years in academic lecturing). Petcharat Kerdonfag is Assistant Proffessor of Nursing at Community Health Nursing, Faculty of Medicine Ramathidodi Hospital, Mahidol University, Bangkok, Thailand.She has completed her MNS (Community Health Nursing) from Mahidol university. She has published many papers related to community health nursing in peer-reviewed journals. Dale M. Hilty, Associate Professor at the Mt. Carmel College of Nursing. He received his PhD in counseling psychology from the Department of Psychology at The Ohio State University. He has published studies in the areas of psychology, sociology, and religion. Between April 2017 and April 2018, his ten research teams published 55 posters at local, state, regional, national, and international nursing conferences. Debrisha Johnson is a concerned and attentive nurse practitioner serving the community of Houston, TX. She attended Northwestern State University, where she earned her master's in family nursing as well as her bachelor's and associate's in nursing. Ms. Johnson is a part of Bee Busy Wellness Center. She is a member of the American Academy of Nurse Practitioners. Patients see her for a variety of reasons, including restless legs syndrome, peripheral neuropathy/carpal tunnel, measles/rubeola, asthma, and arthritis. Ms. Johnson treats a range of conditions, and she is eager to help the wider community receive the care they deserve. She is dedicated to helping patients receive the treatment they need so they can enjoy a positive and fulfilling lifestyle. Nurse case management, Care of patients with chronic diseases, Teaching and learning of nursing students and Instrument testing. Prof. Linda Y K Lee is the Associate Dean and Professor of School of Nursing and Health Studies at The Open University of Hong Kong. She is an active researcher, particularly in the areas of gerontological care and community care. She is currently a member of the editorial board of Frontiers of Nursing and a reviewer for several international nursing journals. Since 2014, Prof. Lee has contributed significantly in developing a territory-wide training programme for health volunteers. Her role in promoting health volunteering in Hong Kong is indispensable. Dr. Krupinski is a Professor at Emory University in the Department of Radiology & Imaging Sciences where she is Vice-Chair for Research. She received her BA from Cornell, MA from Montclair State and PhD from Temple, all in Experimental Psychology. Her interests are in medical image perception, observer performance, medical decision making, and human factors. She is Associate Director of Evaluation for the Arizona Telemedicine Program and Director of the Southwest Telehealth Resource Center (SWTRC). She has published extensively in these areas, and has presented at conferences nationally and internationally. 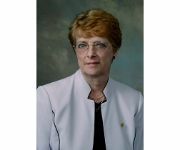 She is Past Chair of the SPIE Medical Imaging Conference, Past President of the American Telemedicine Association, President of the Medical Image Perception Society, and Past Chair of the Society for Imaging Informatics in Medicine. She serves on editorial boards for both radiology and telemedicine journals and is the Co-Editor of the Journal of Telemedicine & Telecare. Dr. Krupinski is an experimental psychologist with research interests in medical image perception, observer performance, medical decision making, and human factors as they pertain to radiology and telemedicine. The goal of her research is to improve our understanding of the perceptual and cognitive mechanisms underlying the interpretation of medical images in order to reduce errors, improve training, and optimize the reading environment, thereby improving patient care and outcomes. 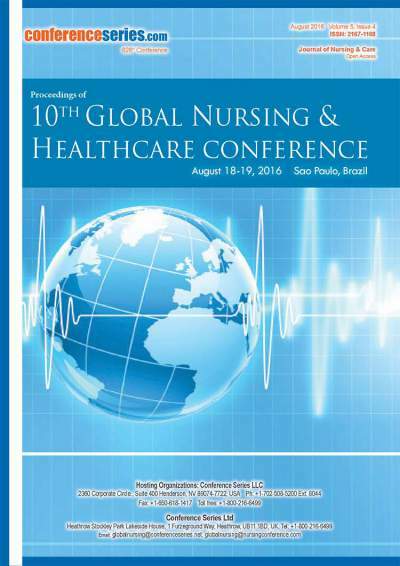 Ana Lucia Abrahão is a full Professor,Aurora de Afonso Costa Nursing School of the Fluminense Federal University (UFF). Post-Doctor linked to the permanent framework of the Health Care Science Program (UFF) and of the Health Education Professional Master (UFF), UFF Director of Nursing – 2011-2015 Management;Leader of the Study and Research Nucleus in Management and Health Work (NUPGES/CNPq). Coordinator of the Distance Education Specialization Course, Labor Micropolitics and Health Management/MS.Coordinator of the Program of Education by means of Work (PET/MS) and Pro-Health at UFF. Guest Teacher of the Public Health course at the University of Barcelona. Member of the Rechercheavec Scientific Committee, research network dedicated to social issues, based in Canada. Affiliated with the Association pour LatinelAnalyse des Systèmes de Santé (ALASS) based in Barcelona, Spain. Franklin A. Shaffer, EdD, RN, FAAN, FFNMRCSI was previously executive vice president of Cross Country Healthcare and chief nursing officer for Cross Country Staffing. He was appointed by the Joint Commission on Accreditation of Healthcare Organizations (JCAHO or the Joint Commission) to serve on their Nursing Advisory Council. Prior to his tenure with Cross Country Staffing, Dr Shaffer served as chief nursing officer at several medical centers, deputy director for the National League for Nursing and adjunct faculty in graduate nursing programs at Teachers College, Columbia University, Adelphi University and Hunter College. Dr Shaffer holds a doctorate of education in nursing administration, a master of education in nursing administration, and a master of arts in nursing administration and adult health from Teachers College, Columbia University. In 2002, Dr. Shaffer was inducted into the American Academy of Nursing. Marques is Undergraduate degree in Nursing from the Federal University of Rondonia (1993); Master’s degree from the Federal University of Para (2002); PhD (2007) from the Federal University of Rio de Janeiro (UFRJ). Post-doctoral by the Laboratory of Nutritional Biochemistry of the University of Brasilia (2010). She is a professor at UFRJ. Researcher at the Research Groups registered at CNPq: Evaluation of Heavy Metals Exposure on Human Health and Ecosystems – FIOCRUZ; The Rondonia Center on Indigenous Health – CESIR/UNIR, Toxicology and Environmental Health Center – CETSA/UNIR, Radioactive tracers in biogeochemistry of environmental pollutants – IBCCF/UFRJ. Her research focuses of environmental health, maternal and child health. women's health, child's health and environmental health. Dalmo Machado is Adjunct Professor, Postgraduate Program in Cardiovascular Sciences (PPGCCV/UFF) and Professional Masters in Assistance Nursing (MPEA/UFF), Editor-in-chiefof the Online Brazilian Journal of Nursing, Brazilian Scientific Editors Association (ABEC), Leader of the Research Group:Cardiac Intensivism based on Evidence and Information Management and Knowledge in Health. Maria Antonieta Rubio TyrrellRetained the title of nurse and specialization in Obstetrical Nursing (1978), Master of Science in Nursing (1978) and Doctorate in Nursing (1994) by Anna Nery School of Nursing of the Federal University of Rio de Janeiro (EEAN / UFRJ). Has four titles Expert: in Obstetric (EEAN / UFRJ), Pediatric Nursing (EEAN / UFRJ), Hospital Administration (PUC / RJ) and Educational Technology in Health (NUTES / CLATES). From 2002 to 2010 she was elected Director of EEAN (02 administrations). Founder of UFRJ Nursing Graduation Course in Macaé (2009-2). She is a professor of Graduate and Post-Graduate Nursing since 1977, she is a teacher Free teaching and Holder (1989) of the Federal University of Rio de Janeiro; Acts as Consultant Ad hoc CAPES, CNPq, PR2 / UFRJ, FAPERJ, Magazine Science & Public Health (ABRASCO) in Public Health (FIOCRUZ), Journal of School Anna Nery (EEAN), Journal of Northeastern Nursing Network ( RENE), Latin American Journal of Nursing (EERP / USP), Journal Enfermería Herediana (UPCH / Peru), Journal of ALADEFE (Founder and Member of the Committee Editorial- 2011). It has experience in nursing, with emphasis in Public Policy on Women's Health and Children, acting on the following topics: public policy and health, women's health and child nursing, midwifery, professional practice and primary care. Hold 03 titles Doctor Honoris Causa (UNT / Peru 2007; ULADECH / Peru and UIGV / Peru in 2009), and 03 nominations for awards in international and national events (COBEON / ABENFO / Brazil, CNEE / ASPEFEEN / PERU, Day Scientific EP / UNT / Trujillo, Peru). 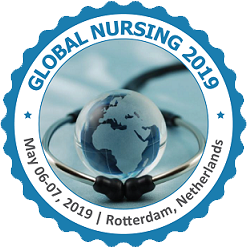 They have publications in journals nursing and related fields, scientific articles, books and book chapters, as well as numerous participations in national and international events which have served as a member of the Scientific Committee, Speaker and / or Lecturer, Consultant and Organizing Committee member. Prof. Dr. Creso Machado Lopes, Associate Professor IV of Health and Sport Sciences Center (CCSD) Federal University of Acre (UFAC), Nurse graduated in 1975, Ribeirão Preto School of Nursing (EERP-USP), University of São Paulo; Specialization in Teaching Methodology and Nursing Care at Federal University of Rio de Janeiro (UFRJ); Master in Fundamental Nursing (1979-1983) at EERP-USP; Inter doctorate (1985/1990) in (EERP-USP / EE-USP); Postdoctoral Fellow in the Department of Nursing at the University of Valladolid - Spain (10/2014 / 04/2015); Leader of the Research Group Research Group, Events, Research and Extension Health (NUEEPES) registered in the CNPq Research Directory of Teacher Disciplines: Research Methodology in Nursing and Surgical Center in Nursing Course; Associate Professor of the Graduate Program in Public Health (PPGSC / UFAC); Guiding student of the Master in Public Health; Member of Committee of Research Projects Evaluation of PPSUS / MS; Deputy Director (CCSD / UFAC). Leandro Gustavo de Oliveira specialized in Obstetrics and Gynecology. A master's degree (2004) and PhD (2008) at the Federal University of São Paulo, having been performed as sandwich doctorate at Newcastle University England. A post-doctorate in immunology of pregnancy, with an emphasis on pre-eclampsia, held at the Immunology Laboratory of Clinical and Experimental (Department of Nephrology - UNIFESP), with stage in Immunobiology Laboratory of Transplantation (ICB - USP). He is currently a collaborator researcher of both laboratories. It is also a medical researcher and developer of the Obstetrics Department at the Federal University of Sao Paulo. It has experience in delivery care and acts as a tutor of the medical residency in Obstetrics Maternity Hospital Vila Nova Cachoeirinha. As a researcher is interested mainly in immunology and physiology of pregnancy, trophoblastic invasion, preeclampsia, angiogenesis and inflammation. In clinical care is concerned mainly by the performance in the delivery room and monitoring of pregnant women with kidney diseases and following renal transplantation. Gunnar Taets has completed his Doctoral Degree two years ago from Federal University of State of Rio de Janeiro. Also, he has a PhD Degree from Lorenz University and a Master Degree in Nursin beyond more four Post Graduations. He is a Intensive Care and Oncology Nurse at National Cancer Institute of Brasil and Professor at Federal University of Rio de Janeiro. Maria Antonieta Rubio TyrrellRetained the title of nurse and specialization in Obstetrical Nursing (1978), Master of Science in Nursing (1978) and Doctorate in Nursing (1994) by Anna Nery School of Nursing of the Federal University of Rio de Janeiro (EEAN / UFRJ). Has four titles Expert: in Obstetric (EEAN / UFRJ), Pediatric Nursing (EEAN / UFRJ), Hospital Administration (PUC / RJ) and Educational Technology in Health (NUTES / CLATES). From 2002 to 2010 she was elected Director of EEAN (02 administrations). Founder of UFRJ Nursing Graduation Course in Macaé (2009-2). She is a professor of Graduate and Post-Graduate Nursing since 1977, she is a teacher Free teaching and Holder (1989) of the Federal University of Rio de Janeiro; Acts as Consultant Ad hoc CAPES, CNPq, PR2 / UFRJ, FAPERJ, Magazine Science & Public Health (ABRASCO) in Public Health (FIOCRUZ), Journal of School Anna Nery (EEAN), Journal of Northeastern Nursing Network ( RENE), Latin American Journal of Nursing (EERP / USP), Journal Enfermería Herediana (UPCH / Peru), Journal of ALADEFE (Founder and Member of the Committee Editorial- 2011). It has experience in nursing, with emphasis in Public Policy on Women's Health and Children, acting on the following topics: public policy and health, women's health and child nursing, midwifery, professional practice and primary care. Hold 03 titles Doctor Honoris Causa (UNT / Peru 2007; ULADECH / Peru and UIGV / Peru in 2009), and 03 nominations for awards in international and national events (COBEON / ABENFO / Brazil, CNEE / ASPEFEEN / PERU, Day Scientific EP / UNT / Trujillo, Peru). 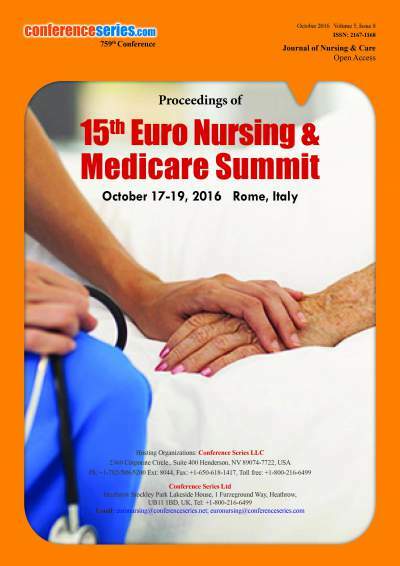 They have publications in journals nursing and related fields, scientific articles, books and book chapters, as well as numerous participations in national and international events which have served as a member of the Scientific Committee, Speaker and / or Lecturer, Consultant and Organizing Committee member . Amer Kaissi research interests include diabetes in primary care clinics, strategic planning, retail clinics, quality of care & patient safety, and application of organizational theories to health care settings. He has published extensively on these topics in various administrative and clinical peer-reviewed journals. Vladimir Obolenskiy, PhD (2002), Head of the Septic Surgery Unit, City Clinical Hospital № 13, Moscow; Associate Professor of the Department of surgery of the Russian National Research Medical University named after N.I. Pirogov, Moscow; correspondent member of the Russian Academy of Natural Sciences (RANS). He is a member of several professional societies, including EWMA, AO Trauma, participant EBJIS. He has published more than 40 articles in reputed journals and 8 tutorials. He has been serving as an editorial board member of the journal "Wound Medicine" and "International academic journal of RANS". Stevens has major interest in clinical research, pediatrics and neonatal care, recently investigating the impact of the NICU environment upon tiny preterm neonates and their families. Hana Kadhom has 33 years experience in nursing as a practitioner and educator. Her experience has been across the Middle East and UK. She obtained her PhD from the University of Hull (UK) and she has postgraduate diplomas from British universities (in nursing education and Health & Safety). She is currently a senior lecturer and Director of a Nursing Degree Bridging program in Bahrain and Saudi Aramco. Salim Fredericks got his PhD from St Georges University of London. He is as a senior lecturer in biochemistry in Bahrain. He has published more than 40 PubMed cited articles. Lars Brorson Fich is educated as an architect, graduating from the school of architecture i Aarhus, Denmark, in 1984. He has worked for 24 years in an architectural office part wise specialized in hospital design, the last 10 years as a partner, before turning to research at the Department of Architecture and media technology at Aalborg University, Denmark, in 2008. He completed his Ph.D. entitled “Towards a Neuroaffective Approach to Healing Architecture” in 2014. His research is concentrated on how architectural space might influence health, concentrating on how space might influence physiological stress reactions. Thomas Adamski is the director of psychiatric programs for Jewish Home Lifecare, Community Services. He completed his Doctorate in Psychiatric Nursing at Teacher’s College Columbia University. He is nationally and internationally recognized in the areas of mental health, HIV, addiction and bereavement. He is a practicing psychotherapist in New York City and lectures extensively. He is a past Professor of Psychiatric Nursing at New York University and currently a preceptor of graduate nursing students at Hunter College of the City of New York. Amy Weaver received her Bachelor of Science in Nursing from West Liberty State College. She graduated with a Master of Science in Nursing – Adult Clinical Nurse Specialist, with a concentration in chronic illness, from Youngstown State University and received a PhD in Nursing from Villanova University. Her dissertation examined the effect of a model demonstration during debriefing on students’ clinical judgment, self-confidence, and satisfaction during a simulated learning experience. She is a full time faculty member and coordinator of the Nursing Home Administration Program at Youngstown State University. Dr. Weaver will continue her research to contribute to best practices in simulation and debriefing. She plans to develop simulated teaching-learning strategies that will enable students to provide quality care to older adults. Mouhanad Hammami, M.D. a graduate of Aleppo University, Syria, Dr. Hammami completed his postdoctoral research in Pediatrics at the Newborn Center of the University of Tennessee in Memphis, and then accepted a faculty appointment at Wayne State University School of Medicine in Detroit, Michigan and a research position at the Detroit Medical Center, Department of Pediatrics. In 2006 he was granted the American Medical Association (AMA) foundation for Excellence in Medicine and Leadership award for his public health advocacy and community work. He is listed in the Marquis 2006-2007 Who’s Who in Medicine and Healthcare, Strathmore’s 2006-2007 Who’s Who in Healthcare and Madison’s Who’s Who in the World 2008 - 2009. He was awarded the “Health Policy Champion Award” by the Michigan Department of Community Health in 2011.Dr. Hammami served as Executive Director of the National Arab American Medical Association (NAAMA) from 2006 to 2009 and then elected as national president for 2011. He currently serves as the Chief of Health Operations of Wayne County Department of Health and Human Services and County Health Officer for Wayne County where he oversees all health related operations for the 13th largest County in the Nation. James C. Pace, PhD, MDiv, ANP, BC, FAANP, FAAN is the Associate Dean of the Undergraduate Program at New York University College of Nursing and Clinical Associate Professor of Nursing. Dr. Pace holds a BA in philosophy from The University of the South at Sewanee, Tennessee; a BSN from Florida State University; MSN and MDiv degrees from Vanderbilt University; and a PhD in Nursing Science from the University of Alabama at Birmingham. Dr. Pace is a Fellow in both the American Academy of Nurse Practitioners and the American Academy of Nursing. As a board certified adult nurse practitioner, he works part time at the Callen-Lorde Community Health Clinic in New York City. Dr. Pace's research and scholarly pursuits are in the areas of palliative/end-of-life care and spirituality/religion and health. Dr. Pace is also an Episcopal priest and assists at the Church of St. Mary the Virgin, Times Square. Uday G.Bodhankar has completed his M.D Pediatric at the age of 28 years from RST Nagpur University & had International Neonatology Training from University of Illinois Chicago, USA. He is the recipient of WHO fellowship in Maternal & Child Health at Singapore. He is the Director of Children Hospital rendering high quality newborn & childcare. He is at present International President of Commonwealth Association for Health & Disability, UK. He has been Advisor to Ministry of Health & Family Welfare & Management Council Member of State Health University. He has published more than 20 papers in reputed journals and has been as an editorial board member of reputed National & International Journals. Edwin Ralph is a professor and internship facilitator with the College of Education at the University of Saskatchewan in Saskatoon, Canada. His research and teaching interests have focused on the areas of effective teaching, learning, and mentoring at all levels and in all disciplines. Dr. NeSmith is an Associate Professor at Georgia Regents University and has nearly 25 years of experience in trauma, emergency, and disaster nursing. Dr. NeSmith obtained her PhD with a focus on translational and interdisciplinary research. Her federally-funded grants, publications, and international presentations focus on health disparities for acute outcomes of trauma, particularly those related to chronic stress and complications of trauma with inflammatory origins. Dr. NeSmith is also an Acute Care Nurse Practitioner and applies her skills to research focused role implementation in collaboration with her clinical and scientific partners within the Level 1 trauma center at her institution. Focus on translational and interdisciplinary research. Dr. Rosenkoetter is a nurse researcher with over 30 years experience in nursing practice, education, research and administration. She has extensive publications and presentations, and is an international nursing and health care consultant. She continues to be a leader in national organizations with particular interests in health care globalization issues and cultural competencies. Her primary research expertise is in survey research and research methodology. She is a Fellow of the American Academy of Nursing. Survey research, geriatric health care, community mental health nursing, and assessments of older adults in disasters. Andrzej Nowicki was born in Warsaw, Poland. He graduated from Military Medical Academy in Lodz in 1975 and he got a degree as a medical doctor (MD) in Institute of Oncology in Warsaw in 1987 and postdoctoral degree in 1998. He is a winner of two individual scientific prices awarded by Bydgoszcz Oncological Foundation. In 1995 he was in University Hospital in Calgary as a visiting professor. At present he is an assistant professor in Collegium Medicum of the Nicolaus Copernicus University in Torun and director of the Oncological Nursing Unit as well as academic teacher in the Department of Nursing. He is an author of above 107 articles published in medical magazines and he was an author of handbook under title ‘Oncological Nursing’. Quality of life of oncological patients, Preventive screening systems for early detection of breast and colorectal cancers, Nutrition state and fatigue syndrome in oncological patients as well as Quality of life during final stage of neoplastic diseases. Rose E. Constantino, PhD, JD, RN, FAAN, FACFE, is Associate Professor at the University of Pittsburgh School of Nursing, Department of Health and Community Systems. She teaches Forensic Nursing. She is the senior editor of Forensic Nursing: Evidence-based Principles and Practice published by F. A. Davis in 2013. Her pro bono family law practice is founded on her research on the consequences of Intimate Partner Violence on the health, safety and well-being of women, men and children worldwide. She is mentoring students in developing the HELPP Zone app as a training tool for bystanders worldwide in recognizing, responding and preventing relationship violence including domestic and sexual violence. Her current research is in comparing the effectiveness of Online and Face-to-Face intervention in women and children in intimate partner violence. Dr. Melissa Geist is an Associate Professor of Nursing and maintains dual certification as a Family, as well as a Pediatric Nurse Practitioner. Dr. Geist received her Eddy at Peabody College of Vanderbilt University. She completed a post-doctoral fellowship with the NSF funded Vent Engineering Research Center (a collaboration between Vanderbilt, Northwestern, The University of Texas and Harvard Universities) where she developed and implemented Legacy Cycles as part of a curricular change in Biomedical Engineering aimed at increasing flexible knowledge and adaptive expertise of students. In her classes, nursing students engage in critical reasoning and clinical decision making via Legacy Cycle modules on complex topics such as management of anticoagulants, and care of the older adult client in the emergency department setting. She currently works at a regional medical center which experiences approximately 50,000 visits per year.